The .fr country-code top-level domain name (ccTLD) is an extension that represents France. Your .fr domain name renews before its expiration date. The renewal date depends on whether you set the domain name to auto-renew or renew manually renew. We attempt auto-renewal on the first day of the month prior to the domain name's expiration date. If the renewal attempt fails, we re-attempt renewal on the 10th of the month and again on the 20th of the month. If we cannot auto-renew the domain name and you do not manually renew it by the 20th of the month prior to the expiration date, you can attempt to recover it, and there might be a fee to do so. See Recovering expired domain names for more information. For example, if your .fr domain name expires on October 10 and you don't auto-renew it, you can renew it manually by September 20. For automatic renewals, we attempt to renew the domain name on September 1, September 10, and September 20. Please contact customer support to request an authorization code for .fr domain transfers away. AFNIC allows its own private registration to be applied. You can contact our support department to cancel or re-add private registration. Note: If a .fr domain has a Domain Trustee linked to it (and therefore account changes are prohibited), the billing information must stay in the original account and CANNOT be moved to a different account. 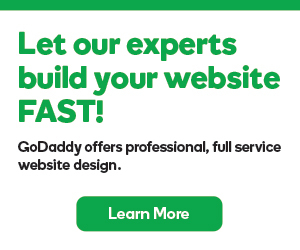 You can update all other domain name contact information through the Domain Manager in your GoDaddy account.